The former Queen Victoria Memorial Hospital (it now houses a Women's Centre), founded in 1896 in Melbourne. Add tags for "The former Queen Victoria Memorial Hospital (it now houses a Women's Centre), founded in 1896 in Melbourne.". Be the first. 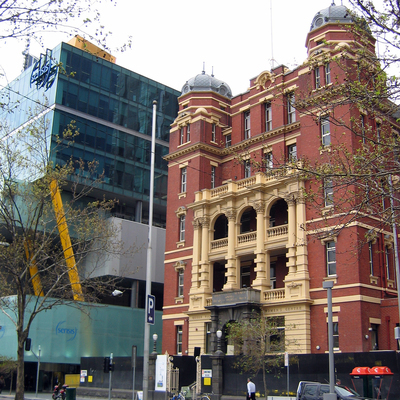 <http://www.worldcat.org/oclc/841442922> # The former Queen Victoria Memorial Hospital (it now houses a Women's Centre), founded in 1896 in Melbourne. schema:about <http://www.worldcat.org/oclc/841442922> ; # The former Queen Victoria Memorial Hospital (it now houses a Women's Centre), founded in 1896 in Melbourne.